DaVinci Networks Inc. combines world-class Artificial Intelligence & Machine Learning talent and deep Telecommunication Networks expertise to deliver superior customer experiences for Mobile Network Operators. We bring in a Silicon Valley mindset of addressing your most challenging business problems with cutting edge Machine Learning technology. 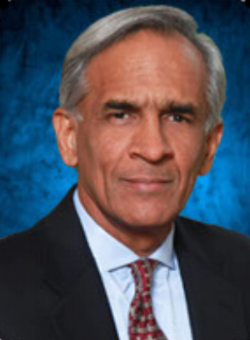 Vivek Ragavan has four decades of executive management experience in the telecommunications industry. As president and CEO of Siara Systems, Vivek was instrumental in the growth of the telecommunications startup and its highly successful sale to Redback Networks for $4.3 billion in 1999. Subsequent to the acquisition of Siara Systems, Vivek became CEO of Redback. Under Vivek’s leadership, Redback was named by Forbes magazine as one of the top 20 best managed, fastest-growing technology companies in the world. Rakshit Mehta is a customer driven executive with two decades of experience in the telecommunication industry. Prior to founding DaVinci Networks, Rakshit was the VP, Product Management at Albeado Inc., an Artificial Intelligence start-up in the Silicon Valley. Previously, he was the Director of Business Development at Juniper Networks where he led technology and business teams to develop long term strategic business opportunities with large Telcos and Enterprises to deploy Next Generation Networks . Prior to that, he held various technical and business management roles at Cisco, Nokia and Atrica Inc., a Metro Ethernet start-up acquired by erstwhile Nokia Siemens Networks in 2008. Rakshit holds a Bachelor's degree in Computer Science from University of Mumbai and an MBA from University of Michigan's Ross School of Business.